The HP Officejet 330 is well-equipped for the basic copy, fax, and printing needs of a small or home office. The HP Officejet 330 is versatile enough to handle both thermal and plain paper, and it is user-friendly with one-touch features, but compatibility issues with newer operating systems are common. With a desktop form factor, the HP Officejet 330 all-in-one is designed to fit well on cramped desktops because of its compact size that measures 15.5 inches deep, 11.1 inches tall, and 17.2 inches wide. The Officejet 330 runs on 256kb of RAM, uses a curved media path, and can accommodate up to 100 sheets of paper at a time. The control panel lies on the top centre, angled for easy access and a better view on the small display screen, and integrated with one-touch buttons despite the busy appearance for easy operation. The Hewlett Packard Officejet 330 inkjet printer is integrated with telephony features including speed dialling and an answering machine. 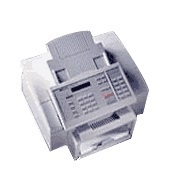 The fax can detect errors and print summary sheets of every transaction. Up to 99 copies can be produced from the original, and PC fax is possible from this device. The Officejet 330 printer can also be used as a sheet-fed scanner, and there is an automatic document feeder that works with the copy function. This device is not compatible with the Windows 7 operating system, so users cannot use the PC fax feature or connect the HP Officejet 330 to their PC. The outdated system requires a parallel interface cable for connectivity, too. Speed is another issue because the HP 330 Officejet can only print up to 3ppm in fast mode, 2.5ppm in normal mode, and 1ppm in presentation mode. The HP 330 multifunction printer is quite heavy, too, weighing 8.85kg. The low-yield cartridge is only good for 1000 pages, and it only prints in monochrome. The fax machine's transfer rate is limited to 9.6 Kbps only.